Pauline R. Ihus age 76 of rural Blanchardville, WI passed away on Thursday, January 24, 2019 at her home, following a short illness. She was born in Freeport, IL on February 11, 1942, the daughter of Glenn L. and Ruby (Gift) Kuhnke. Pauline was united in marriage to Donald C. Ihus on August 13, 1960 at Blanchardville Lutheran Church. She lived in Blanchardville her entire life. 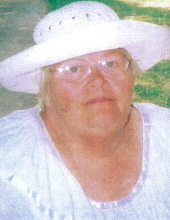 Following her marriage she farmed with her husband Donald and worked at Advance Transformer in Monroe, WI for 32 years. Pauline is survived by her children: Janet (Brian Arnold) Ihus of Apple River, IL, Alan Ihus of Blanchardville, Tamara (James McNett) Ihus of Shullsburg, WI Brandi (Jonathan Cox) Ihus of Warren, IL; six grandchildren, nineteen great-grandchildren; and one sister: Margaret Pyfer of Freeport, one sister-in-law: Marlyn Moen and three brothers-in-law Paul O’Brien of Racine, WI, Jerry Wiesenberg of Monroe, WI, Paul Ihus of Dodgeville, WI. She was preceded in death by her parents; four grandchildren: Travis, Troy, and Tracy Trickel, Dylan Schaar; two sons-in-law: Jim Trickel and Gene Schmitz and five brothers-in-law Burnell Moen, Ernest Pyfer, Maynard Peterson, Edward Duffy and Gordon Ihus. Pauline loved spending time with her family and doing arts and crafts. Memorial services will be held at 4:00 P.M. on Saturday, February 2, 2019 at the Erickson Funeral Home (508 Main Street, Darlington) with Rev. Ted Michelson officiating. Burial will be in Graceland Cemetery in Blanchardville at a later date. A visitation will be held on Saturday, February 2, 2019 from 2:00 P.M.– 3:45 P.M. at Erickson Funeral Home. Online condolences may be expressed to the family at www.ericksonfuneralhome.com. In lieu of flowers, memorials may be given to the family of Pauline Ihus. To send flowers or a remembrance gift to the family of Pauline R. Ihus, please visit our Tribute Store. "Email Address" would like to share the life celebration of Pauline R. Ihus. Click on the "link" to go to share a favorite memory or leave a condolence message for the family.